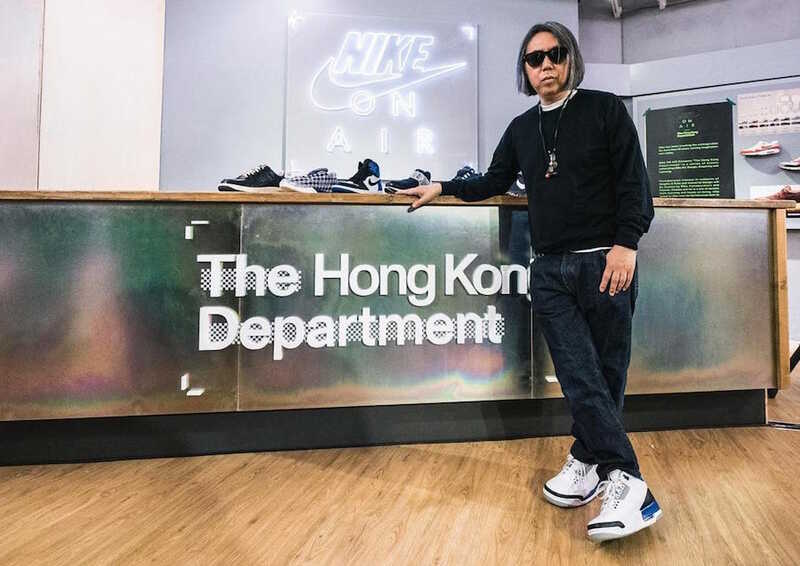 Designer and founder of Fragment Hiroshi Fujiwara was recently wearing an unreleased Air Jordan 3 Sample. 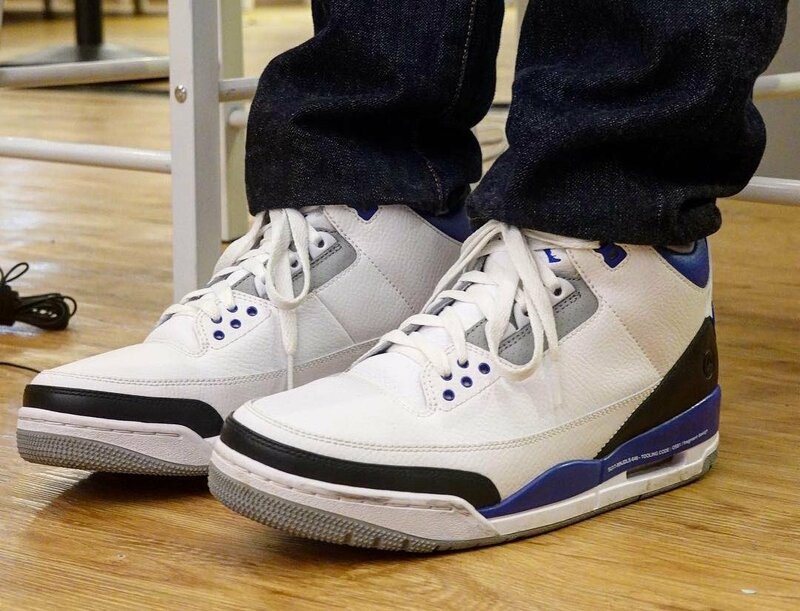 As you can see the Fragment x Air Jordan 3 resembles the same colorway used on the Air Jordan 1 that launched back in 2014. 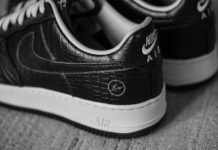 Highlighted with White leather across the upper and instead of using elephant print around the toe and heel, we have Black leather. 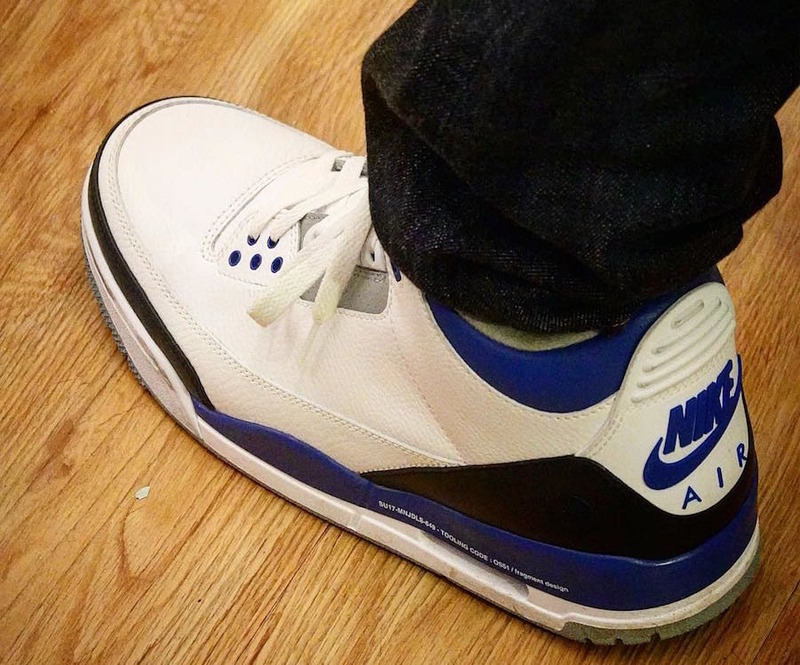 Royal Blue is placed around the collar, tongue branding, eyelets and part of the midsole. 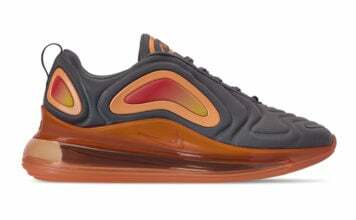 Fragment’s double lightning bolt logo is seen on the lateral side by the heel which is followed up with Nike Air branding on the heel. 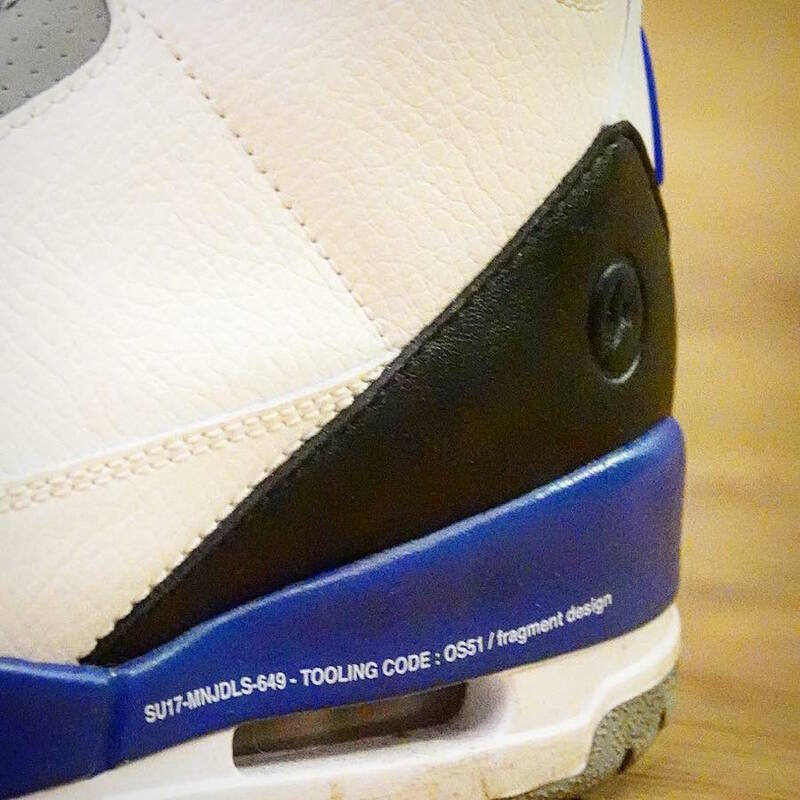 Completing the look is writing on the midsole that reads ‘SU17-MNJDLS-649 – TOOLING CODE: 0S51 / fragment design’. 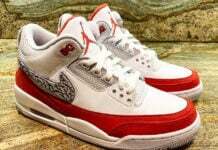 Currently it isn’t known if the Fragment x Air Jordan 3 will release or stay a sample, however it appears that a release won’t happen anytime soon. 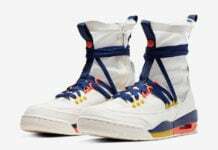 However you can see additional photos by scrolling below and let us know your thoughts in the comments section.